Stäubli Robotics meets the daily challenge of expertise and innovation in industrial robotics—just ask its clients the world over. Stäubli robots are renowned for their quality, reliability, and technical excellence. They are also highly cost competitive. The Total Cost of Ownership (TCO) of a robot includes purchase, installation, maintenance, repair, set-up, training, and electricity. 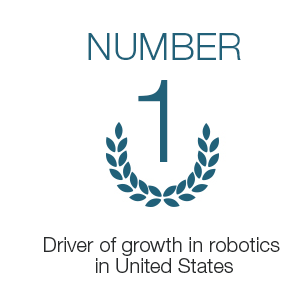 Stäubli robots have the lowest TCO on the market and are quick to reach maximum competitiveness. This new edition of Man and Machine marks our 125th anniversary at Stäubli, a long track record of success we’re proud to share with you! In the medium term, our machines have been proven to be more competitive than the competition.